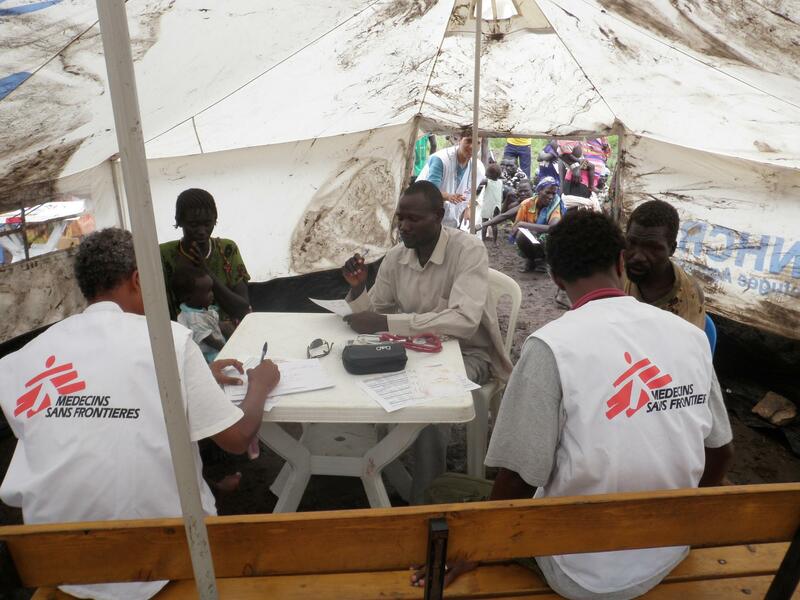 For several weeks Médecins Sans Frontières/Doctors Without Borders (MSF) teams have been providing assistance to South Sudanese refugees arriving in Ethiopia fleeing violence and persecution in their country. Since mid December, it is estimated that more than 75,000 refugees have arrived in Gambella region following intense fighting in Upper Nile, Jonglei and Unity states in South Sudan. The refugees, coming from many places including Akobo, Juba, Bor, Malakal, and Nasir, are arriving at a rate of more than 1,000 per day. They are almost all women and children and often arrive in poor health conditions, some having walked for up to three weeks. We have rapidly extended our assistance to the refugees in partnership with the Ethiopian Administration for Refugees & Returnees Affairs (ARRA) at both the entry points into Ethiopia and in the new refugee camps. We have set up external consultation facilities in Tiergol, Pagak, and Letchuor, and inpatient departments in Letchuor and Itang, providing close to 2,000 consultations per week and an inpatient capacity increased to 30 beds. “We are extremely concerned about the poor living conditions and the lack of access to clean water, sanitation and food when the refugees first arrive in Ethiopia”. The main pathologies MSF teams are treating, such as respiratory tract infections or diarrhoea, are mostly related to poor living conditions. However malaria is already accounting for more than 50 percent of the cases, even before the start of the rainy season. A measles outbreak was also recently declared by the authorities and MSF has admitted dozens of children in its hospital. Despite the fact that the authorities and humanitarian actors have accelerated the transfer of the refugees to two newly established camps, Letchure and Tirkidi, there are still critical gaps in the provision of clean water and access to sanitation. “MSF is committed to provide medical care and assistance to the rapidly growing refugee population in Gambella” says Foucher, “but we are extremely concerned by the refugees living conditions, especially with the rainy season so close, bringing a risk of flooding." MSF has worked in Ethiopia since 1984, and currently runs projects in Amhara, Benishangul, Gambella, Oromia, SNNPR and the Somali region.